Adriana and Edwig Flores-Martinez once lived in Acapulco, Mexico with their two young children. Unfortunately, job opportunities were scarce, and the violence in the city was getting worse. “It was very unsafe to live in Acapulco. We had to constantly look over our shoulders and protect what little we had,” said Edwig. 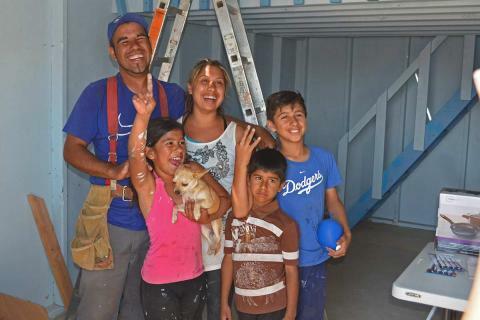 Adriana’s sister, who lived in the community of Fuentes del Valle in Tijuana, constantly encouraged them to move there. 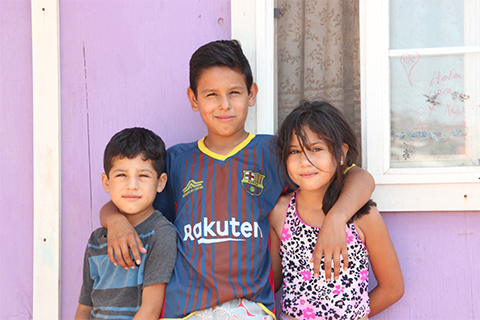 For Adriana and Edwig, it was hard to gather the courage to move somewhere new, where job opportunities might be just as unpredictable as in Acapulco. 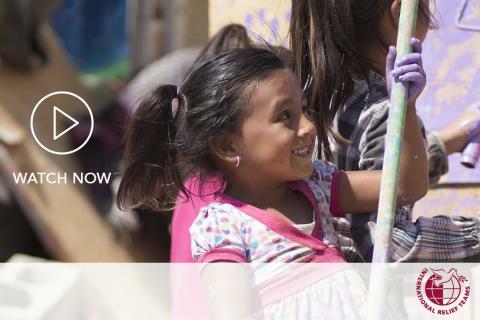 However, they would be safer, and they would be close to Adriana’s family. Edwig eventually saved up enough money to fly the family to Tijuana. They came with just a few of their personal belongings, and the clothes on their backs. 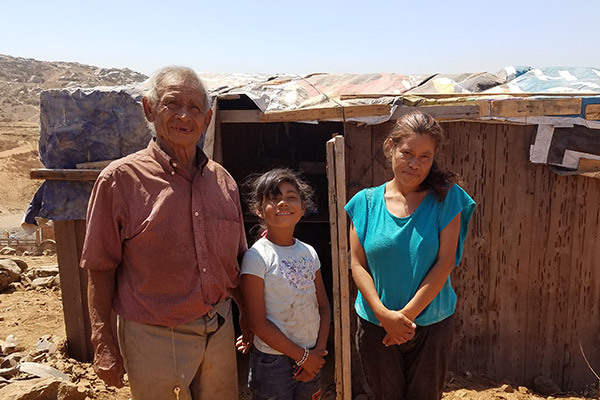 The family had just enough money left to buy scrap wood to build a small shack in Fuentes del Valle. The shack they built had a dusty blue rug to cover the dirt floor, and a partial roof made out of wood. 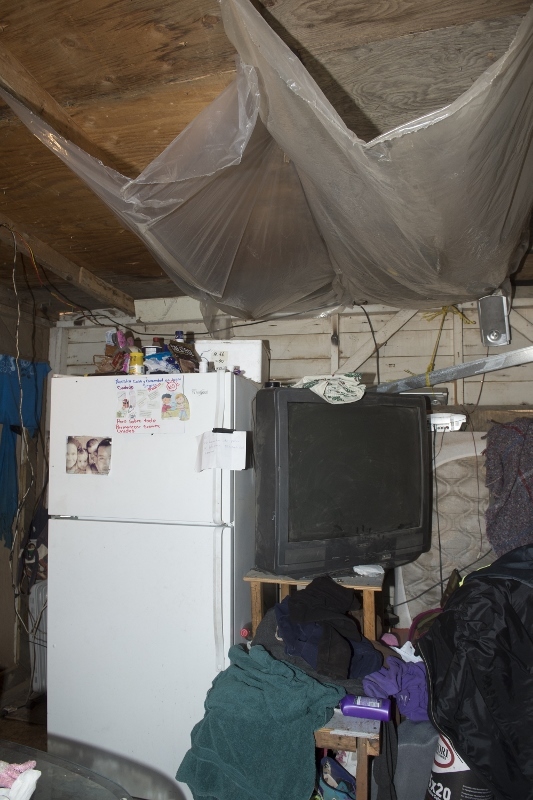 The remainder of the roof was draped with a blue tarp that had shower curtains tied underneath it to form a reservoir to minimize the flow of rain water leaking into the house. During rainy nights, Edwig would wake up to empty the “ceiling reservoir”. When the rain was heavy, he would wake up with water dripping on their bed. “It was very tiring and annoying to constantly empty the reservoir”, he said. Although it was an extremely tight fit, they managed to fill their home with the essentials. It was just big enough to fit a full size bed, which they all shared. 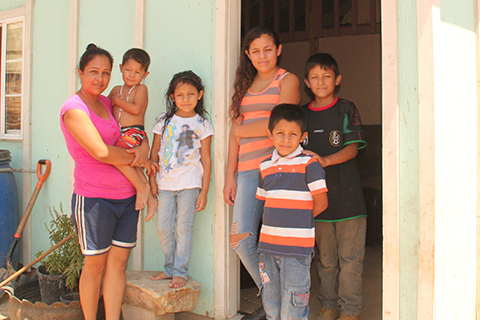 In their “kitchen” they had a small two burner stove, a standard size refrigerator, and extra items given to them by their neighbors. 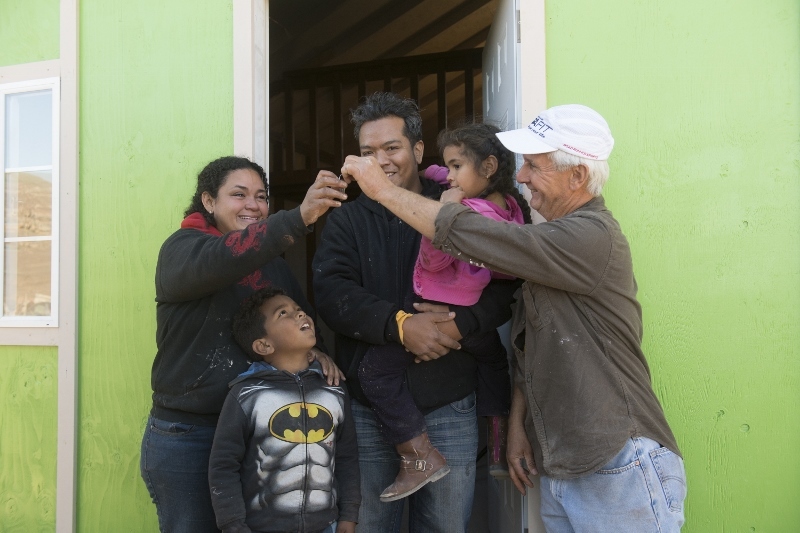 Things dramatically changed for them when a group of 25 IRT volunteers traveled to Tijuana in February, to build a 16’ x 20’ home for Adriana, Edwig, and their family. 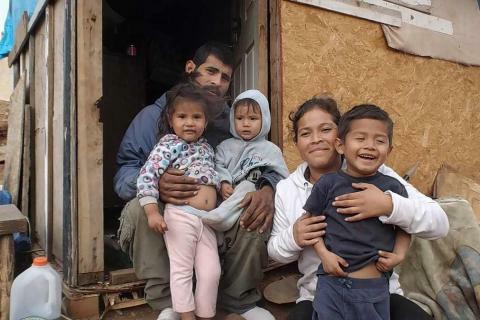 This would be the first time they would have a house with four walls, a sturdy ceiling, and a concrete floor, where the only dirt that they would have to deal with was the dirt their kids brought in from playing outside. 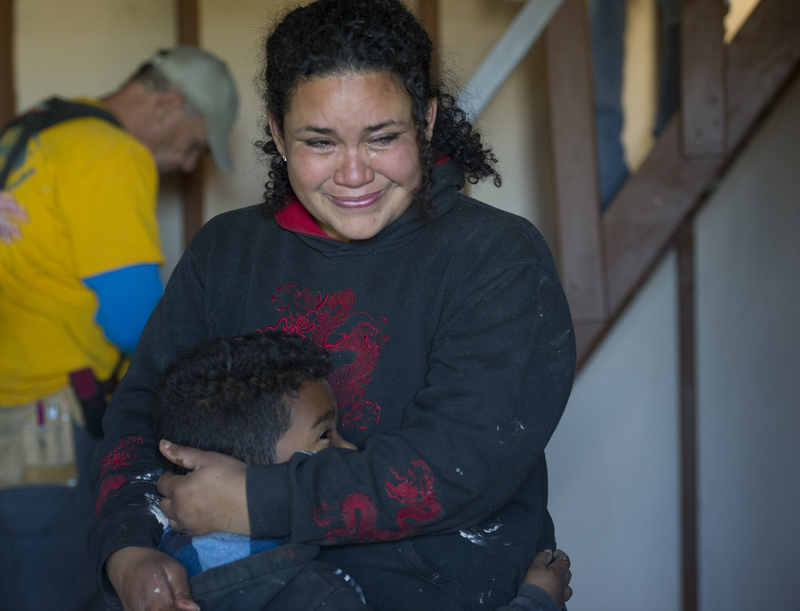 Adriana had tearful moments throughout the day of the build. She could be found quietly painting a piece of her new home and shedding a tear or two as thoughts of relief and disbelief raced through her mind. She instantly glowed as she talked about the space her family would have in their new home. 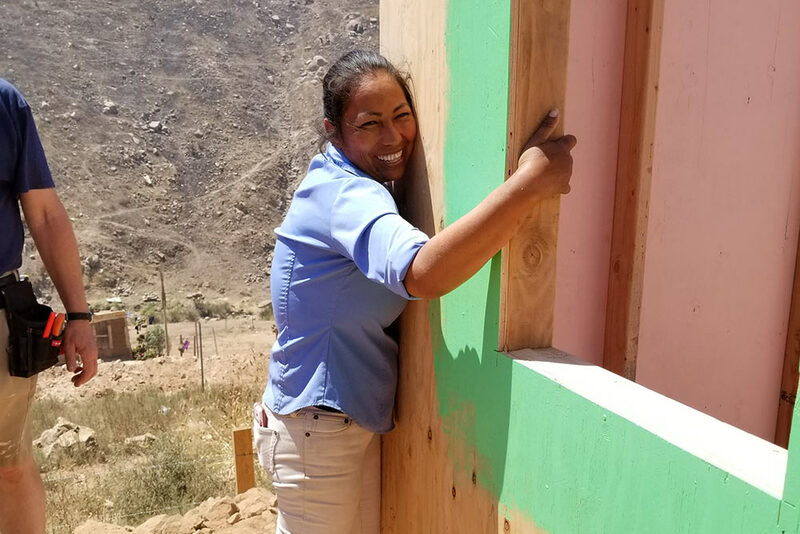 Edwig and Adriana continue to be overwhelmed by all the love and support IRT and the community of Fuentes del Valle have given them. “I am so grateful. There are many people here that don’t know us, but they worked so hard to help us. 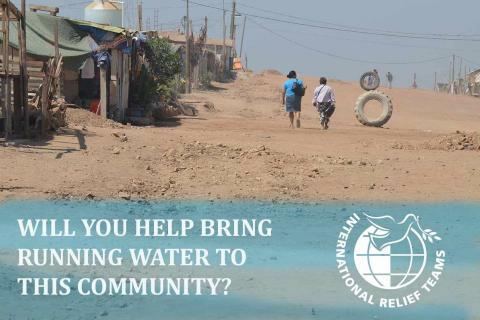 It’s unbelievable and I’m so grateful,” Adriana said. ‍The family’s former shack. You can see the shower curtains tied underneath the room to form a “reservoir” for when it rains. 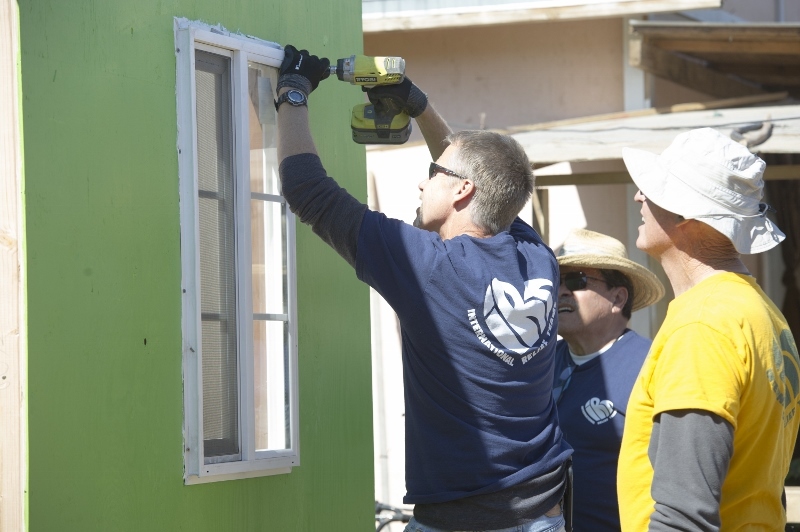 IRT volunteers work hard to complete Adriana and Edwig’s home in one day. 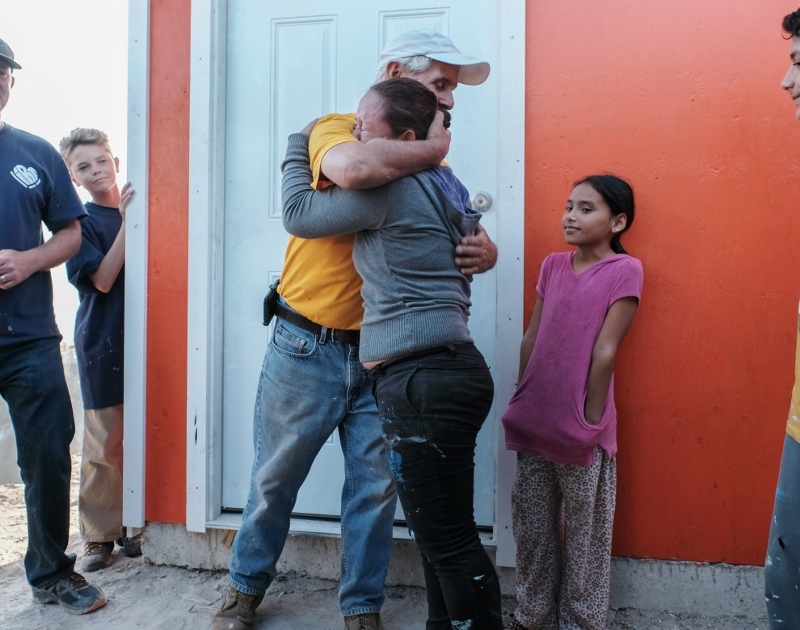 ‍IRT’s team leader, John Zawis, presents the keys of their new home to Adriana and Edwig.